The run up to the Oscars wouldn’t be complete without the Berlin film festival. 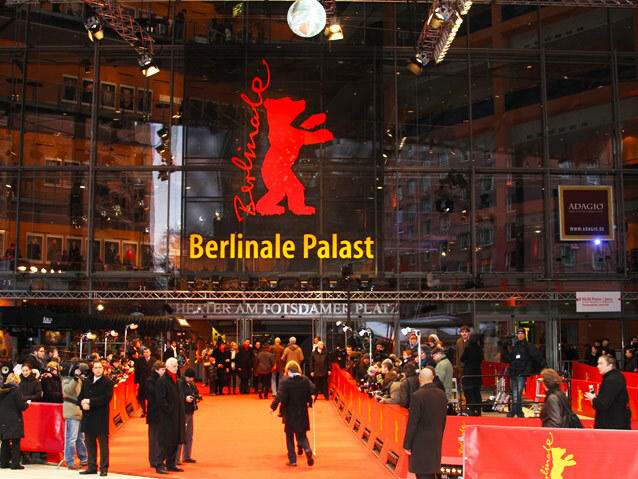 The Berlinale takes place every year in Germany’s capital, and has done since 1978, its actual inception came back back in 1951, when it was introduced by West Germany. Last year’s festival saw Wes Anderson’s Grand Budapest Hotel open the festival, the film that has now been nominated for nine Academy Awards this year, including Best Picture, Best Director and Best Original Screenplay. The 65th festival this year runs from 5th February through to 15th and will feature around 400 films from both internationally acclaimed filmmakers such as Werner Herzog and Terrence Malick, as well as independent filmmakers looking to make an impact in the film industry. This year sees Werner Herzog return with his drama epic, Queen of the Desert, the biopic of Gertrude Bell, who was an English spy traveller and archeologist in the early 20th century. Bell, whilst working with the British government, helped establish modern day Iraq and was a prominent figure in the Middle East during this time. The film stars Nicole Kidman, James Franco, Damien Lewis and Robert Pattinson. One film that has been receiving a fair amount of attention is Terrence Malick’s Knight of Cups. Christian Bale leads as a screenwriter sucked into the disillusioned world of LA and the Hollywood system. Forever seeking further enjoyment in life and never satisfied with what he has, Bale looks for something more in this life. Co-starring is Natalie Portman, Isabel Lucas, Cate Blanchett and Nick Offerman. The film is set for worldwide release later this year. Jafar Pahani, the outspoken director from Iran will also be present this year with his latest film Taxi, where he drives a taxi around Tehran, speaking to the people he picks up. This follows his two previous films, the first of which, This is Not a Film, gained worldwide attention after it was smuggled into Cannes film festival on a USB stick, hidden in a cake. This drastic measure was taken as Pahani had been banned from filmmaking by his home authorities in Iran, due to his apparent involvement in spreading anti-government propaganda. Pahani was subsequently sentenced for six years. Then in 2013, Pahani released his second feature film, Closed Curtain, where at the Berlin film festival, took the Silver Bear Award for Best Script. Mr Holmes, an adaptation of the novel A Slight Trick of the Mind by Mitch Cullin, follows Sir Ian McKellen as Sherlock Holmes in his later years as he struggles to come to terms over his last case, as well as his age. Directed by Bill Condon (Gods and Monsters), the film also stars Laura Linney opposite McKellen as his housekeeper. Other films that are both competing as well as screening out of competition include the live-action Cinderella by Kenneth Branagh (Thor), and stars Lily James as the lead role with Cate Blanchett playing the wicked stepmother. Fifty Shades of Grey is also making its much anticipated premiere at the festival. The film is of course based on the best selling EL James novels of the same name and stars Jamie Dornan and Dakota Johnson as Christian Grey and Anastasia Steele respectively. German director Wim Wenders will be premiering his first feature film since Palermo Shooting in 2008, with Every Thing Will be Fine. James Franco takes the role of the lead in a story that follows how a man copes after hitting and killing a child whilst driving. Festivals are also a place for distributors to pick up films, and Berlin is no different. The European Film Market (EFM) takes place simultaneously with the festival as a platform for buying film rights. Last year, the Weinstein Company secured the rights for Benedict Cumberbatch’s multiple Oscar nominated The Imitation Game for a record $7million. Films in the mix this year are ones to look out for in the future. Mel Gibson’s Hacksaw Ridge are hoping to be picked up, as well as Gold, starring Matthew McConaughey. Queen of the Desert will no doubt be picked up this year, as well as the James Dean biopic Life, by director Anton Corbijn. The Berlin Film Festival will run until the 15th February.